We work onsite with other humanitarian organizations, governments, community groups and individuals. Our collaborators include volunteer-run initiatives in Nepal, USA, Canada, United Kingdom, Germany and Hong Kong. Together, we are working tirelessly towards a transformation of the livelihoods and prospects of the under-privileged communities of Gorkha. 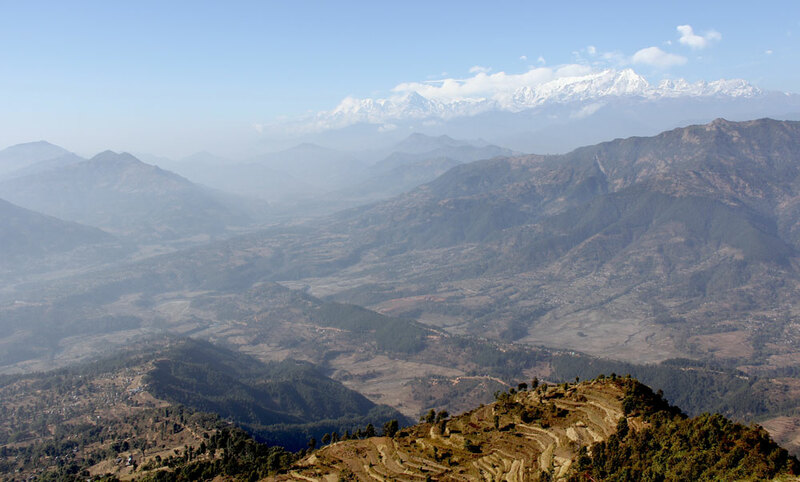 Nepal is a landlocked country between China and India, and one of the poorest countries in the world – with more than 40% of its families living under the poverty line. Nearly half of its 30 million people — a population that is expected to double by 2030 — are unemployed. The economy is heavily dependent on subsistence farming and many individuals earn less than US$1 per day, living in isolated communities without access to proper healthcare and education. Its food deficit is widening rapidly, with crop production unable to keep pace with demand. Sadly, 6 out of 10 children are malnourished. 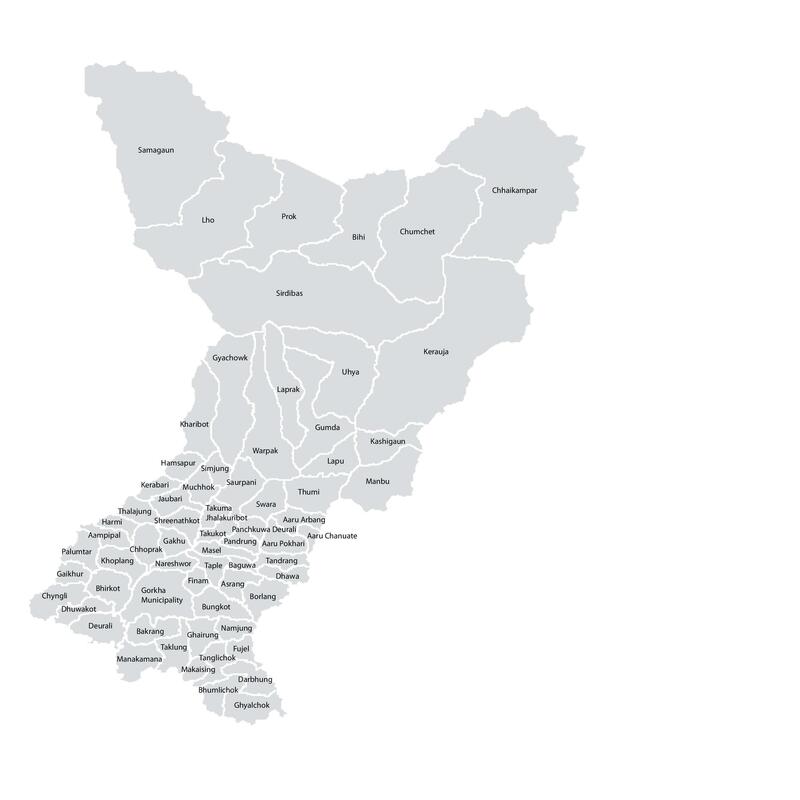 Our operations are based in Gorkha district, part of the Gandaki zone in the Western Region, 200 kilometers west of Kathmandu. 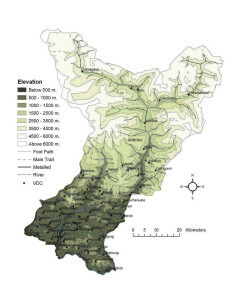 The district has river valleys and broad forested hills, bordered on the north by the Himalayan range, and is home to two of the highest mountains in the world, Himal Chuli and Manaslu: both over 26,000 feet. 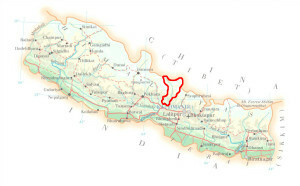 Gorkha has one short surfaced road suitable for heavy traffic; the remainder of its settlements are linked only by dirt roads and footpaths. 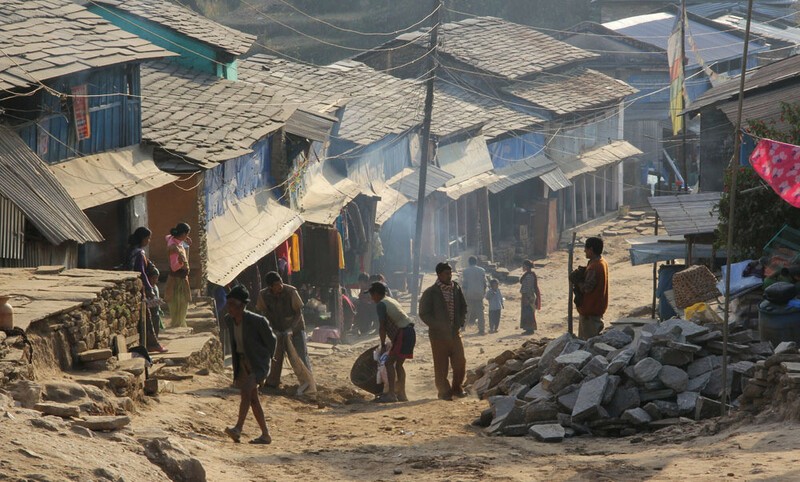 The widespread devastation caused by the 2015 Gorkha earthquake has brought even more challenges to those living in Nepal, particularly in Gorkha. Now, these rural communities must not only deal with the day-to-day struggles of living off the land to support and feed themselves, but many thousands of families are without homes and schools.